Hands down, Calida nightgowns are one of the top night wear brands in the world that are well-known for their ultra soft cotton knit nighties. Much loved for decades, this Swiss sleepwear brand is a go-to choice for comfortable and relaxing sleep wear styles that you can wear again and again. If you’re not already a die-hard fan, you may have some misconceptions about their nightgowns, so we’re here to set the record straight. Here are 4 monumental myths. While it’s true that one Calida gown has the staying power and versatility to stand alone and meet your sleepwear needs, let’s ignore what you need and focus instead on what women want. Why choose just one Calida nightie when you can stock up on several styles; each prettier and more appealing than the next? and have fun picking out several colorful prints and pieces. With Calida nightgowns, the truth of the matter is that you simply don’t have to choose when you treat yourself to several of these must-have nightgowns. Cotton is a natural fiber that's eco-friendly. It has an easy breathability that helps to regulate body temperature. 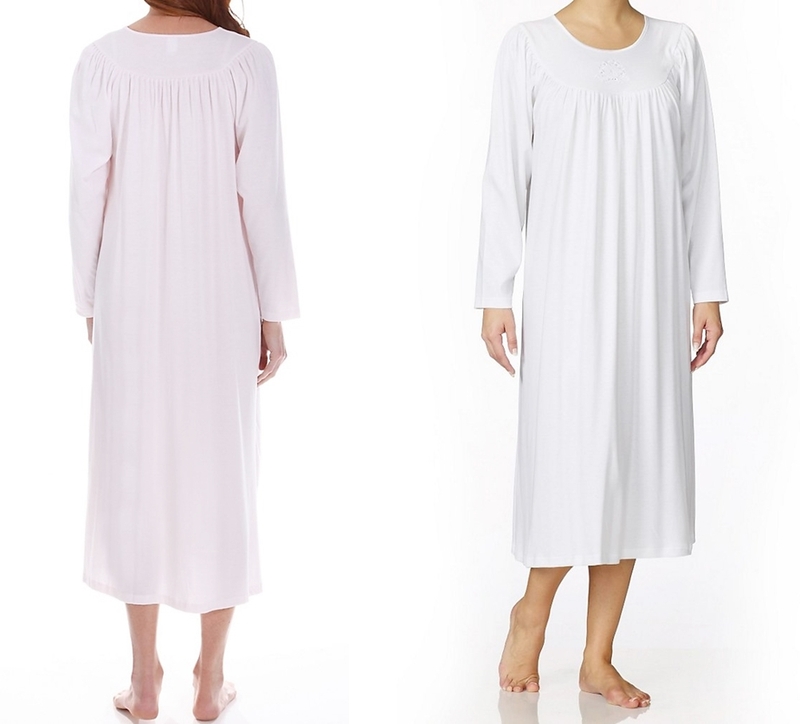 Calida night gowns are, in fact, well-priced. They’re made using the beautiful lingerie fabrics and trims, so you won’t find them at low quality retailers or at bargain basement prices. 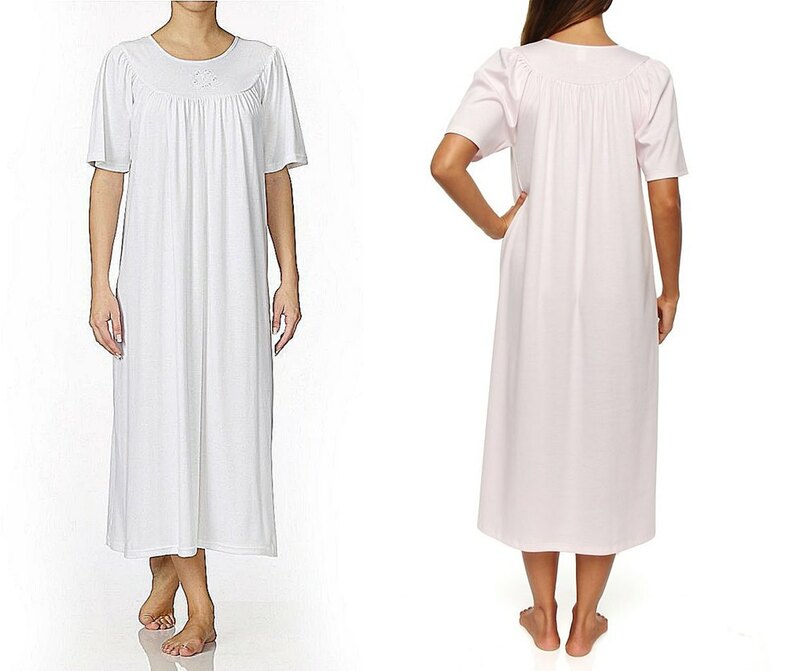 While you may pay a little more than other brands or styles, it’s well worth it when you buy a nighty or sleepwear style from this beloved brand with a rich history for making luxurious and comfortable nightgowns. Calida lingerie	stands the test of time, especially when you care for it properly. It’s an easy investment when you see how long these well-made night wear pieces will last and how often you’ll pick them out of your lingerie drawer. It’s certainly true that Calida makes timeless nightgowns that will look just as good years from now as they do today. They’re perfectly suited to a woman with traditional and classic taste in sleepwear. But don’t make the mistake of thinking their nightgowns are basic, boring, or bland. While you can buy a classic white Calida nightie you can also find whimsical prints, bright colors, and a variety of styles so pretty that it’s impossible to choose which you like best. Any type of personal style can be perfectly matched with Calida nightgowns. While North American lingerie manufacturers enjoy a large share of the ladies sleepwear, European lingerie manufacturers have always enjoyed a reputation as a cut above the rest in terms of quality and comfort. Many of Calida’s biggest fans have been wearing and enjoying this beautiful brand for years, however that doesn’t mean that young women aren’t falling for them every day. Calida has tapped into the secret that makes their nighties appealing to all ages: they give women cozy, comfortable lingerie and sleepwear styles that are pretty. Whether you favor their more conservative styles or bright prints and barer cuts, there’s a Calida nightgown for women of any age to wear and love.